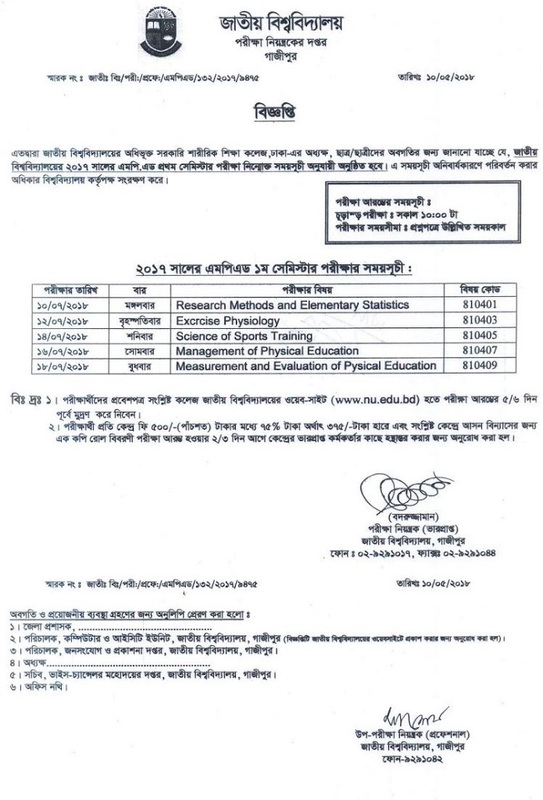 M.P.Ed 1st semester Routine and Center List under the National University Of Bangladesh. This the Professional Course under this university. for more information about MPEd course see the National University of Bangladesh official website www nu edu bd or nu bd info. see the routine of the MPEd course 1st semester. 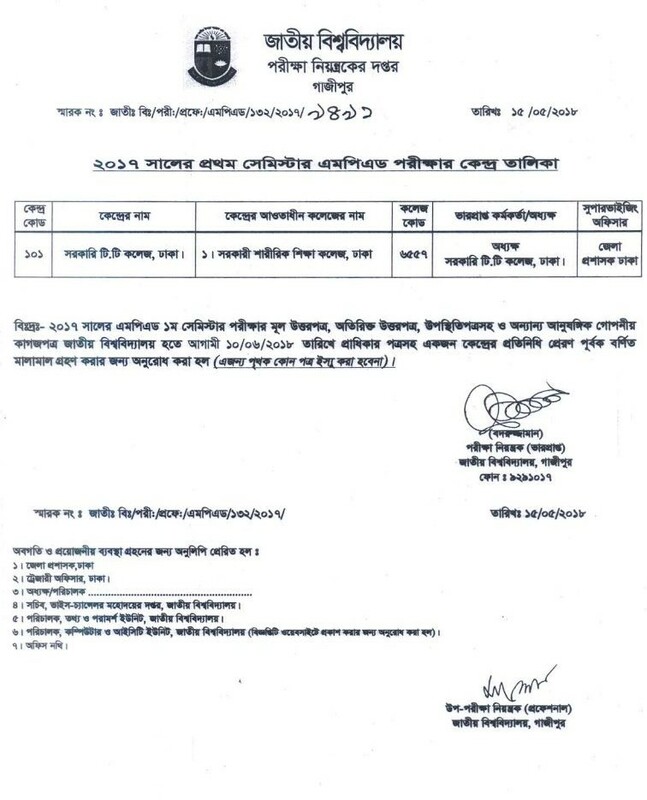 Examination Start on: 10 July 2018.